Morocco travel at a slower pace to include visits to the key sights of the south including Essaouira, the southern Kasbahs, Dades Valley and Marrakesh. Great for medina’s, High Atlas views, good food, pools and shopping! 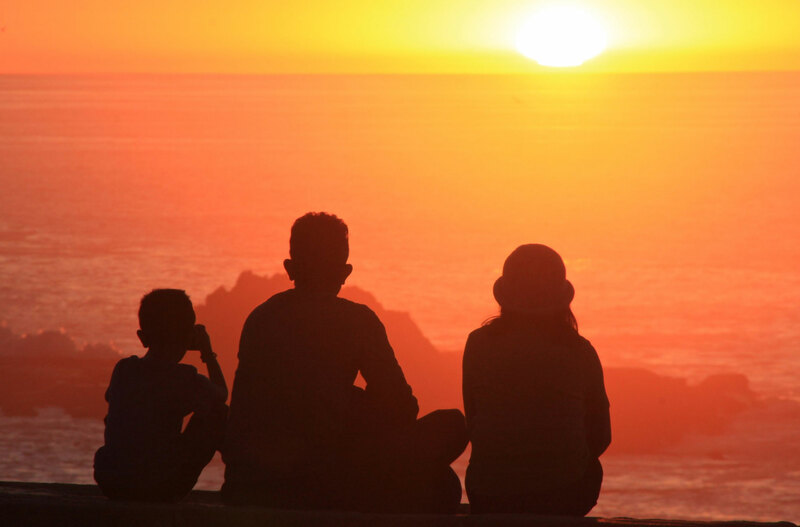 Essaouira is the first port of call to kick back and enjoy it’s simple pleasures. Cool summer breezes, fresh fish and a charming easygoing medina make this an ideal place to spend a couple of days. Morocco travel explored at your own pace; it’s rich architectural history, it’s blue doors and whitewashed walls as well as it’s handicrafts – both Thuya and Argan are native to here. It’s also been the location for many films and is regarded as Morocco’s “Jewel of the Atlantic. There’s also an annual festival of “Gnawa music”, where many musical groups come from different parts of Africa and the world held in late June. The journey through the Tiz ‘n’ Tichka pass over the High Atlas is a wonderous journey of verdant valleys ‘switchback’ climbs towards the desert. Women working in fields carrying their crop on their backs is an enduring image of life relatively unchanged from the Berber villages in the high Atlas. 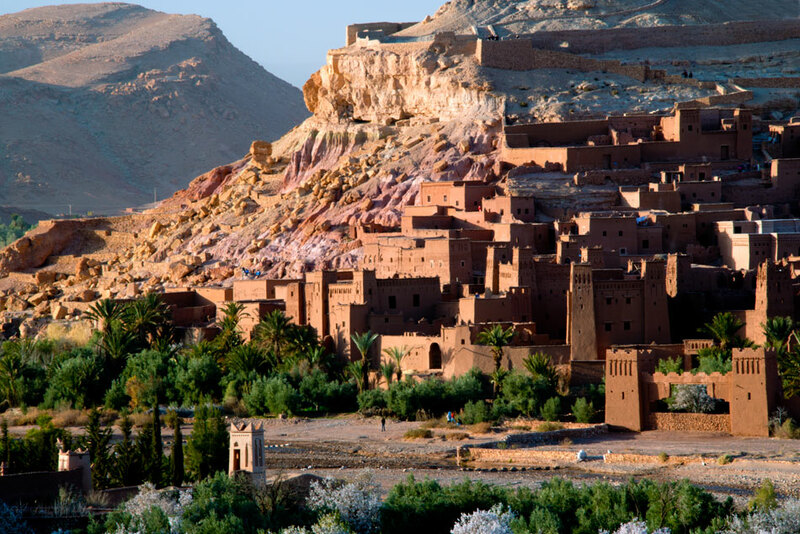 Just south of the Atlas range is Morocco’s most famous Kasbah at Ait benhaddou where scenes from the film ‘Gladitator’ were shot. Once on the trading route from Mali, the Kasbah still houses 10 families and you can take tea with one of them. From there it’s on to atmospheric Skoura, and a complete contrast – it’s palmearie stretching over a vast area of narrow tracks intersected with crumbling Kasbahs. Dades valley is unforgettable. Stunningly beautiful with rock formations from another world framing a magnificent twisting river course of wheat, fruit and silver birch trees through a valley strewn with kasbah’s known as “The valley of a thousand kasbahs”. The rock formations known as “monkey toes” are an extraordinary testament to the power of natural forces and in stark contrast to the simple lives of people who harvest in it’s midst. Todra Gorge is the highest, narrowest gorge in Morocco and closet opportunity to meet Berber nomads. Further on into the pre-desert areas is the oasis village of Elkhorbat, a relaxing retreat will little presence of tourism which hosts a fascinating Ksar and fortification of tunnels. The oasis marks the far point of this Morocco travel tour and our return for Marrakesh on day 8. 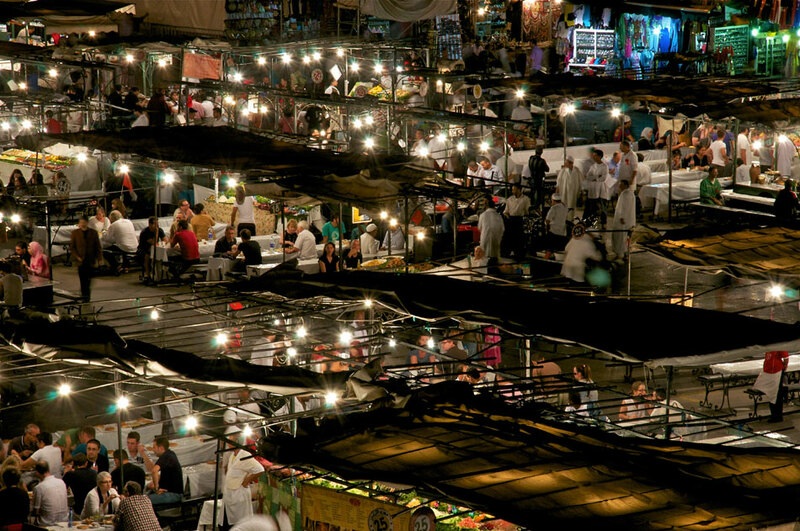 Your last evening is in Marrakesh giving you the opportunity to see the atmospheric city at it’s most colourful time. The Jemma El Fna square is a haven for the quirky with street performers and their props a draw for both locals and tourists. However Marrakesh offers more than its central square with it’s medina and souks stretching out like tentacles you’ll find the evening still has many shops still open within the numerous souks. If a peaceful rest is what you’re after then there’s an abundant choice of very good Riads that offer quality comfort away from the hustle and bustle. Also restaurants are often within easy reach of our recommended places to stay. Just let us know what of experience you would like for your final night on your tour of Morocco. can assist with booking your Morocco travel tour.